Google’s sister company Verily wants to make a smart shoe that can track weight and monitor falls, according to CNBC. The company has allegedly been looking for partners to develop this shoe and bring it to market, but it’s very early in the process. Fall detection seems to have become an increasingly popular feature for wellness gadgets, given that the newest Apple Watch has a similar feature. This makes sense due to the growing number of Baby Boomers and the very real risk of injury that falls pose. In fact, falls are the number one cause of injuries and deaths from injury for elderly Americans, according to the Centers for Disease Control and Prevention, and preventing falls truly could save lives. The shoe fits in with other projects from Verily (formerly Google Life Sciences), which include contact lenses for farsightedness and a special spoon for people with movement disorders. That said, Verily is hardly the first company to look into smart shoes for this purpose. E-VONE makes smart shoes in 26 styles, and all of them contain sensors that will notify someone when you fall. 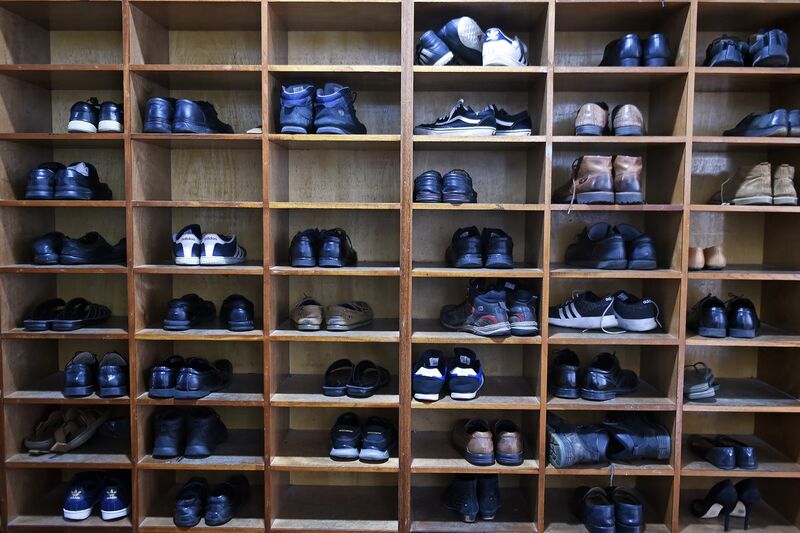 But both E-VONE and Verily and everyone else’s smart shoes will need to contend with the same problems: few people want to wear the same shoes every day, and many people don’t wear shoes indoors. At least a smart shoe is a better fall-prevention idea than the $800 airbag belt.